Here is a collection of what’s popping on the NY Giants twittersphere today. If you’d like to follow us on Twitter for more Giants Gab goodness in your twitter app, you may. Victor Cruz endorses Mike Sullivan as his preference for offensive coordinator. Says Giants don't need new scheme, just a "refresher." And here’s one from a comment that was mentioned on NY Giants official morning show – Big Blue Kickoff Live – where host John Schmeelk commented on one of our points made about bargain basement shopping due to the cap issues hampering the NY Giants when it’s comes to resigning players like Mario Manningham and Martellus Bennett. 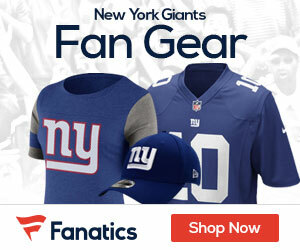 #giantschat the Giants bargain basement tendencies in personnel shopping are now on full display. and it's a real shame.